There are so many different methods of carpet cleaning now that it is hard to know what service or process is the best. In this blog post, we take a look at 5 of the most common cleaning methods used today and which one we believe is the best. Carpet shampooing is one of the oldest methods of cleaning carpet, it was very popular up until the 70’s when encapsulation techniques were discovered, but it is till common today for some carpet cleaning rental equipment. The main problem with shampooing is that it leaves large amounts of sticky chemical residues in the carpet which not only attracts dirt but also may lead to environmental problems. 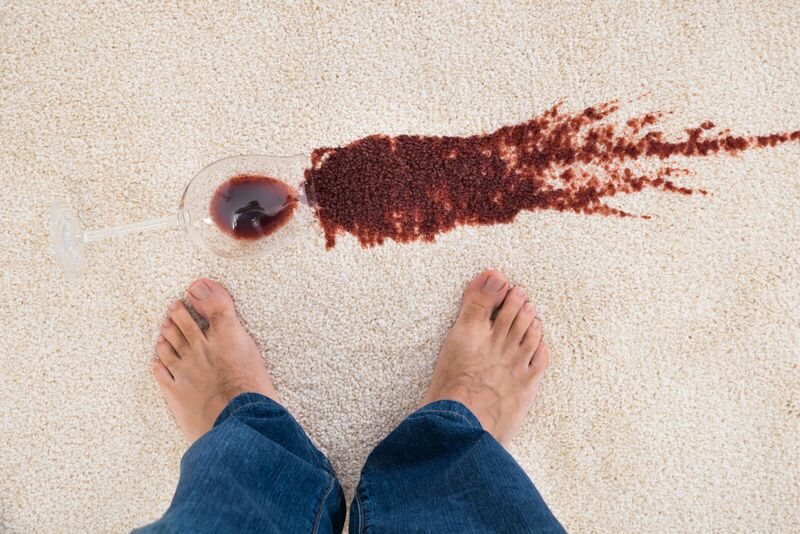 We recommend staying away from carpet shampooing, it may seem like a cheap option, but it can lead to further damage. Encapsulation is the technology that took over carpet shampooing. This process still uses a detergent, but when this detergent dries, it encapsulates dirt and other particles within itself and turns into a powder that can more readily be removed by vacuuming. Encapsulation certainly leaves much less residue than carpet shampooing, but it will still leave residue even when a high-power vacuum is used. What’s further is that encapsulation has a hard time cleaning deep within the carpet, especially heavily soiled carpets because the encapsulation process may only absorb so much. Dry Carpet Cleaning has been used since the 80’s and have been a popular option for businesses because the carpets do not need to dry. As you can imagine businesses that run 24/7 have a particular interest in dry carpet cleaning. However, there are many disadvantages to dry carpet cleaning. The first is that it is heavily chemical reliant. Dry carpet cleaning works by spraying the carpets with pre-treatment sprays that break down and dissolves grease that binds soils to the carpet. Then a counter-rotating brush will drive these agents deeper into the carpet. After a few minutes, these chemical compounds are then extracted. Also, dry cleaning has a harder time cleaning heavily soiled areas such as pet stains. The process was mostly built with 24/7 operations in mind that don’t mind using chemical cleaners. Bonnet cleaning is the process of using a round buffer (bonnet) that scrubs a mixture of cleaning agents on the surface of a carpet. In theory, the spin pad is absorbent and mixed with the chemical cleaners it attracts soil to itself, the bonnet must be rinsed repeatedly through the process as it is absorbing dirt and chemicals into itself. The main problem with bonnet cleaning is that it focuses on the surface of the carpet and has a hard time extracting dirt and grime that has reached deep into the carpet. Is often known as steam carpet cleaning. The process may use a hot mixture of water and chemicals pressured into the carpet and then uses a high suction powered wand to pull as much water and residue out of the carpet as possible along with the dirt and soil. This process is the best for a deep carpet cleaning, but it takes a long time to dry, sometimes as much as a whole day. Also, if chemical agents are used residue may be left behind in the carpet which may lead to your carpets getting dirtier faster than they should. As you may have noticed, we did not say which one of these methods was the best. Most of them had some kind of up and down to them. Zerorez® was built on trying to discover the best carpet cleaning method and all of these methods had a common problem: Residue. Residue causes a major problem for carpets because it collects more dirt to the carpet then if it was never cleaned in the first place. So we adapted our preferred method and made it better. Water extraction had two major downfalls, it takes a long time to dry, and it leaves residue in the carpet. So the founders of Zerorez® asked themselves, “How do we make carpet cleaning better?” They discovered their answer in Powered Water® and inventing a new cleaning wand. Powered Water® is the cleaning agent we use; it is water that has had a Sodium hydroxide molecule added to it. It is safe for your pets and family and powerful enough to cut through stains without them reappearing. The best part is that it leaves no residue! Your carpets will stay cleaner longer. The second problem was the drying times, Zerorez® had to get those cut-down, so Zerorez® created a patented wand that reduces the drying time to only a few hours, but still manages to fully clean deep into the carpet. So, what is the best option? It is the Zerorez® cleaning process, we know because it was built to be the best. We did not copy the old technology or use something that has been around for a while. We created a process to be the best cleaning possible. We guarantee you will love our cleaning!